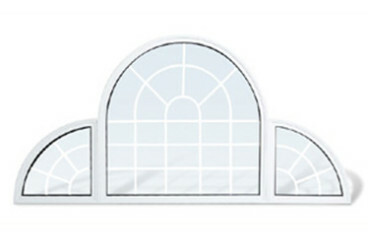 Let our window and door specialist help you choose the right products for you and your home! A Horizontal Roller is a versatile window with sashes positioned side by side with a slight overlap. Tracks are built into the top and bottom of the frame to allow the window to be opened and closed horizontally. Horizontal Rollers offer 2- and 3-lite configurations (where one or two panels may open), and many feature removable operating panels for easy cleaning. The Horizontal Roller allows for an uninterrupted vertical view and significant airflow. A Single-Hung Window is a classic style that features a movable bottom sash (or panel) that slides open and closed vertically, while the top sash stays stationary. 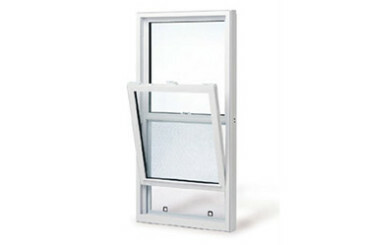 The moveable bottom sash also tilts inward for easy cleaning of the exterior pane. Single-Hung Windows allow a significant amount of natural light into the home and provide a wide opening which offers maximum ventilation. This traditional window is found in many homes today. french Doors feature solid or divided glass surrounded by an outside frame, where the glass panes constitute all or nearly all of its surface area. 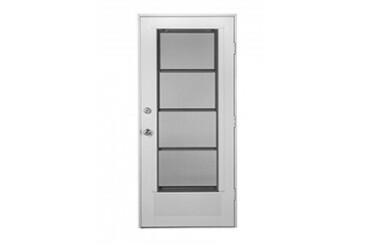 While French Doors traditionally consist of two hinged door panels that swing in or out and lock in the middle, one panel French Door options are available. French Doors provide an open airy feeling by allowing natural light to pass through, but can also offer privacy when tinted or tempered glass options are selected. Casement Windows offer a sophisticated design with maximum ventilation and uninterrupted vertical views. 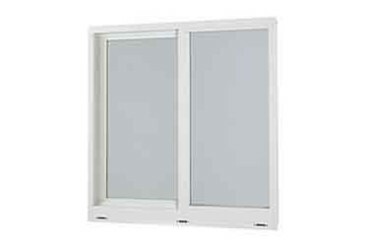 This single-panel window is hinged on the right- or left-hand side and can be opened by turning a handle. 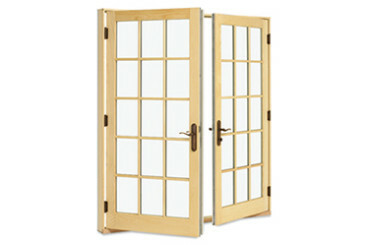 A Cabana Door is a hinged door with glass panes that is ideally used for a porch, garage or pool bath. Cabana Doors are available as single or double door options and offer the choice of single-hung or fixed lite window styles. A Sliding Glass Door unit consists of upper and lower tracks fitted with one or more glass door panels that move horizontally. 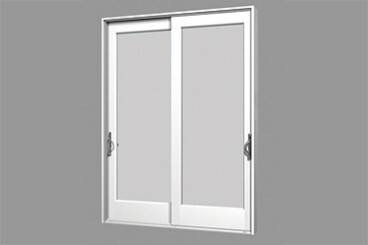 Sliding Glass Doors can be installed in multi-panel, by-pass or pocket configurations. Picture Windows can be used as a stand alone or companion window to add visual interest or capture a view. These windows are fixed (non-operable) and typically let in the maximum amount of light, as they tend to be the largest window installed. Picture Windows are often complemented by an architectural-style window above or casement, single-hung or double-hung windows on each side. Picture Windows may also come in a variety of shapes such as square, rectangle, half round, quarter round, circle, oval, elliptical, octagon, hexagon, trapezoid, eyebrow, triangle and peak pentagon. 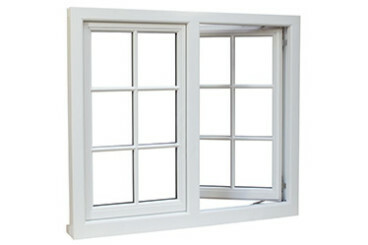 Architectural Windows are also known as accent windows and can be used as a stand alone or companion window. This style of window is fixed (non-operable) and is often installed as a means to let in additional light, complement larger windows, add visual interest or capture a view. A variety of standard shapes are available including picture, quarter circle, half circle, full circle, fan, squares, oval, elliptical, gothic, eyebrow, pentagon, peak pentagon, arch, trapezoid, triangle, octagon and hexagon. 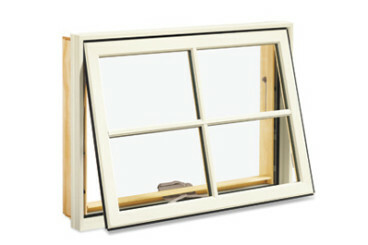 Awning Windows are single-panel windows that are hinged along the top and can be opened by turning a handle. 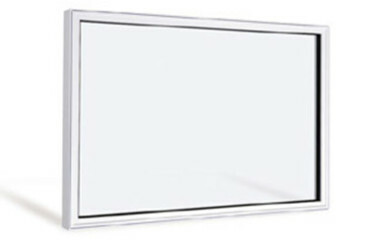 When opened, the panel tilts outward and allows air in from the left, right and bottom. Awning Windows are often installed above, below or alongside a fixed (non-operable) or operating window, but can also be used as a clerestory (a window near the top of a wall) to let hot air escape.